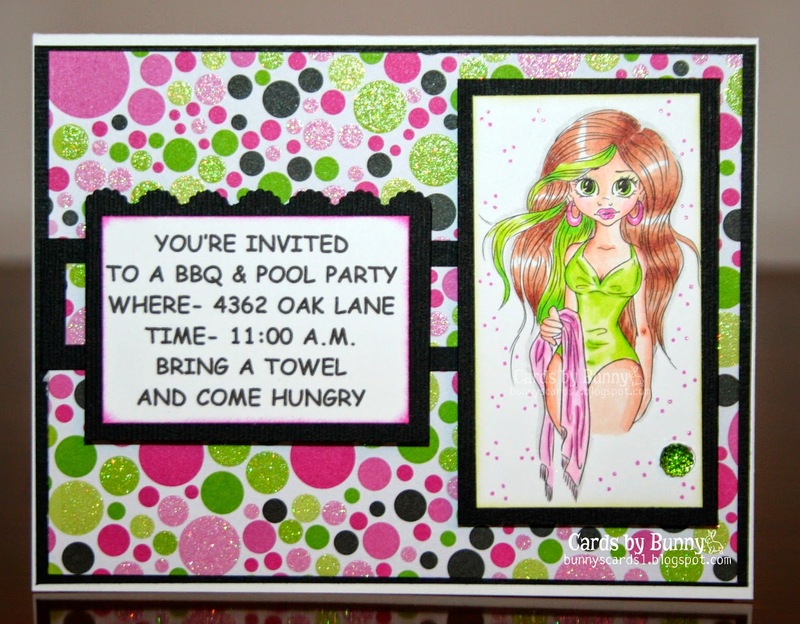 what a fun invite.. great coloring.. thanks for joining us at MarkerPop! Fabulous bright, vibrant, colourful invitation. Thanks for joining us over at Lil Patch of Crafting Friends, wish you luck and hope to see you for C#7. Lovely card! Thanks for joining us at Card Mania Challenge! What a great card! I love the bright colors! Thanks for joining us over at Lil Patch of Crafting Friends!